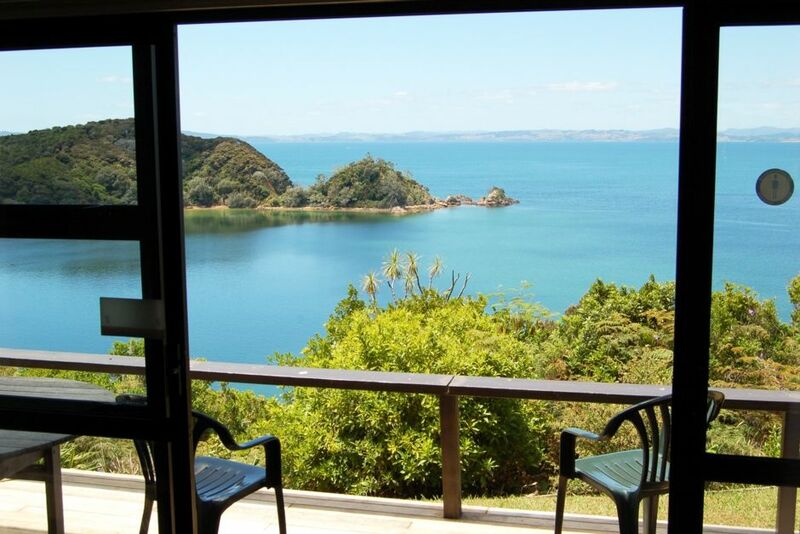 Imagine waking up to spectacular 180 degree views of Doubtless Bay and the hypnotic sound of the ocean. Patia Point View offers you the perfect place to escape, relax and unwind. With probably the best view in Whatuwhiwhi It’s also a great base for exploring the sandy beaches and the picturesque Karikari peninsula in New Zealand’s Far North. One of New Zealand’s best kept secrets with fishing and diving to rival any other, sub-tropical conditions make this the perfect spot to holiday with safe swimming, and lots of outdoor adventure. A short drive from the Carrington Golf Course and Winery, Patia Point view is the quintessential kiwi bach offering self-catering accommodation for six people. This facility is available year round and is ideal for having a break. I enjoy catching and eating great fish while at Patia Point View. A great place to have some time out. Beautiful beaches, great fishing and swimming. Magic views. The best sea view in Whatuwhiwhi. 180 Degree views of Doubtless Bay. Doubtless Bay and Patia Point. Open plan kitchen and lounge. 2 sofas. 6 seater dining table. A range of cooking and eating utensils. Contains most domestic kitchen items. A large collection of books to read. Lawn on seaward side of property and garden on road side. What a magical view, with easy access to the most beautiful beaches! A neat & clean home with all you need. A peaceful happy place. Tranquil Bach with the most amazing sea views! Stayed for 3 nights, has all the amenities that are needed for a weekend away plus the views are amazing!! Stunning views from the property , but unfortunately in the heat of summer it’s an uncomfortable place to be at night - you want to leave the windows open but there are no screens on the windows to keep all the mosquitos out. If you close the windows it gets way too hot and there are no fans inside. Might be better in spring or autumn. Nice place to stay with stunning views. Our family had a wonderful time staying at Patia Point Bach. The Bach has everything you need and a view you'll always remember. Maitai Bay and Karikari beach close by, are amazing. Just bring mozzie repellant and close up the house at night as this area has lots of mozzies! Would love to return one day. Thanks for staying at Patia Point View. Stunning view from Bach..... and the perfect spot if you are keen on fishing! The Karikari peninsular is surrounded by fantastic beaches, amazing views and the salt water fishing is exceptional.